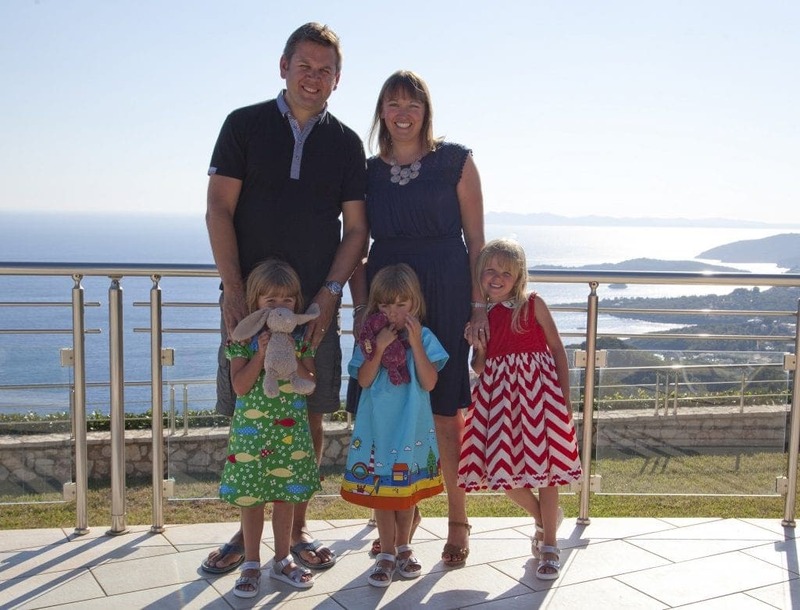 Having spent the two previous summers at Simpson Travel’s amazing Family Friendly resort Mousses in Lefkas I was very keen to try out their villas and put to the test whether their exceptional customer service could be matched in a stand alone villa. 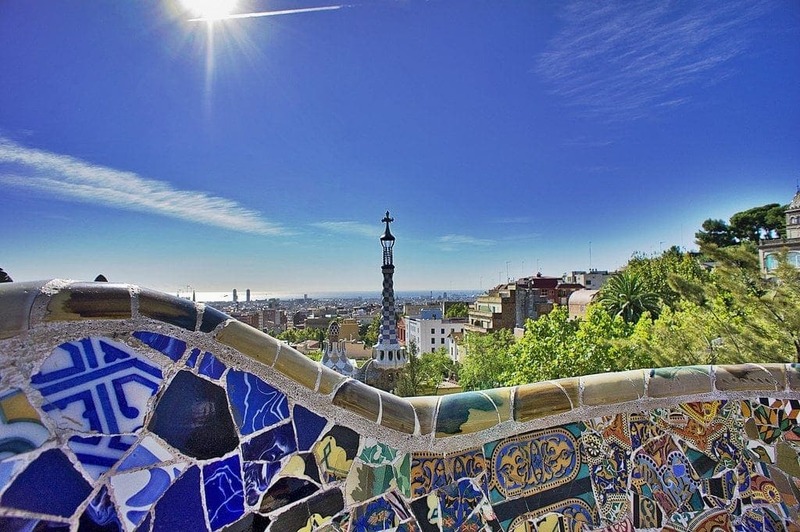 The premise of a Simpson Travel holiday is based on a package concept – you chose your villa or hotel and then they book the flights, the car and any of the other holiday extras you need. The reality of the Simpson Travel ‘package’ though is that you get so much more. You get an assurance that your holiday will be exceptional. So was it? 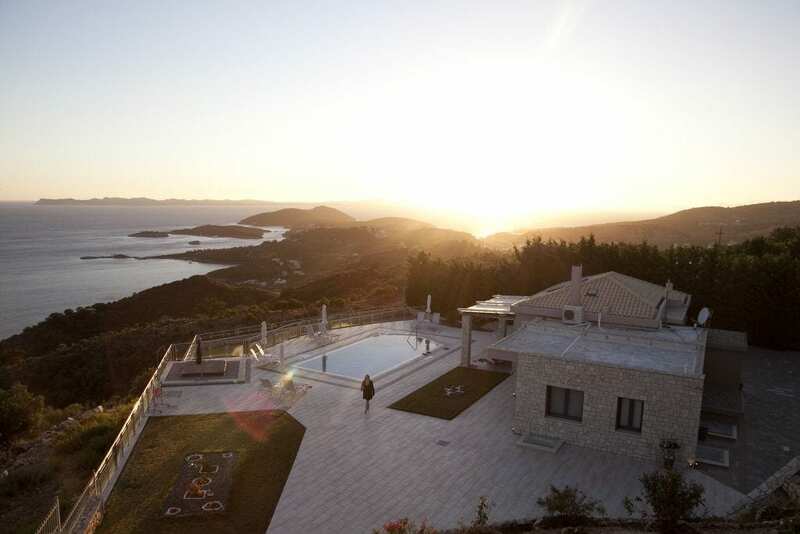 Our Family Friendly Villa was in Sivota, on mainland Greece. We flew out very early one Sunday morning from T5 with British Airways after a night in the Sofitel at Heathrow (which you can read more about here). Most Simpson Travel holidays from London are on British Airways starting the holiday in the luxurious way it will continue. There is a representative from Simpson Travel in the airport making sure you get into the right queue and onto the flight and generally assisting you. Granted if you don’t fly from London you can’t do this, but if you can, flying BA when you are used to Easyjet and Ryan Air, does feel like luxury. Bigger seats, at seat (included) service and a full baggage allowance for all of you! It doesn’t however mean that you have to pack everything the kids own to take with you, which my husband informs me I did! Sivota, if you aren’t aware, is on mainland Greece and you can either fly to Preveza and drive North, or fly into Corfu and get a ferry. Our route was into Corfu and the ferry, so after our 3 hour flight to Corfu we took a short coach ride to the port, grabbed some lunch and then jumped onto the ferry to Sivota. We were marshalled at all times by the very helpful team in Corfu. Our luggage was looked after by one of the team meaning we didn’t have to lug it into lunch and we were given clear instructions about when and where we needed to be. 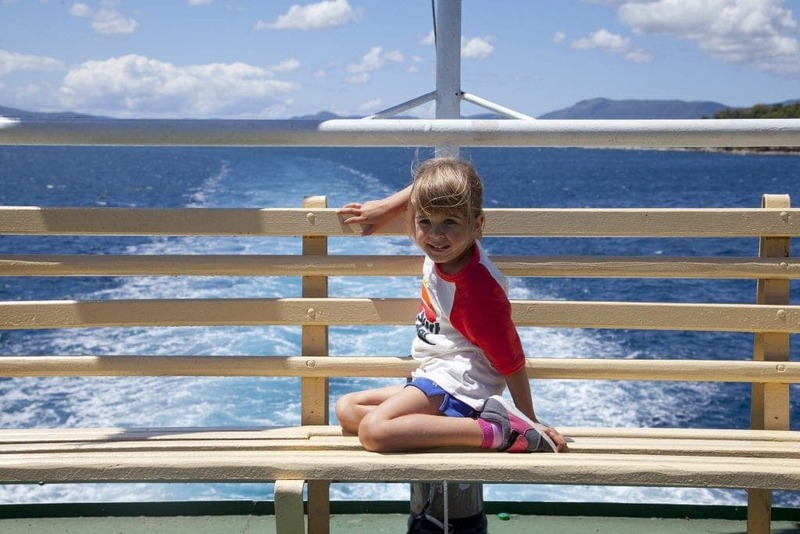 Setting out on the ferry gave us our first impressions of the area, of the lush greenery of Corfu and the blue blue skies and sea. It was a photographers dream. The kids started to get a little bored of travelling whilst we were on the ferry but the beauty of a ferry is the space to run around or dance! So dance they did and we were treated to a performance of their latest dance routine. We were met in Sivota by the local team Rado and Klaudia and taken to our car (arranged and included in the package price). We were helped with our bags and in fact one bag was taken to our villa by Rado as our luggage didn’t all fit in the boot! Clearly I had actually packed everything we owned as hubby had complained at the airport! We were given mobile numbers for the local team and told to call with any queries we might have, nothing was too big or too small. Just call. After a twenty minute drive, 5 minutes of which was up a very steep hill, we arrived to the most beautiful view I have ever had from a villa. I can’t explain just how stunning it was but the pictures really do say it all. The villa itself was bright clean and spacious but it was the views and the outdoor space that made this villa exceptional. I’ve been to hotels with smaller pools! Just look at the size of it; and it had a hot tub! 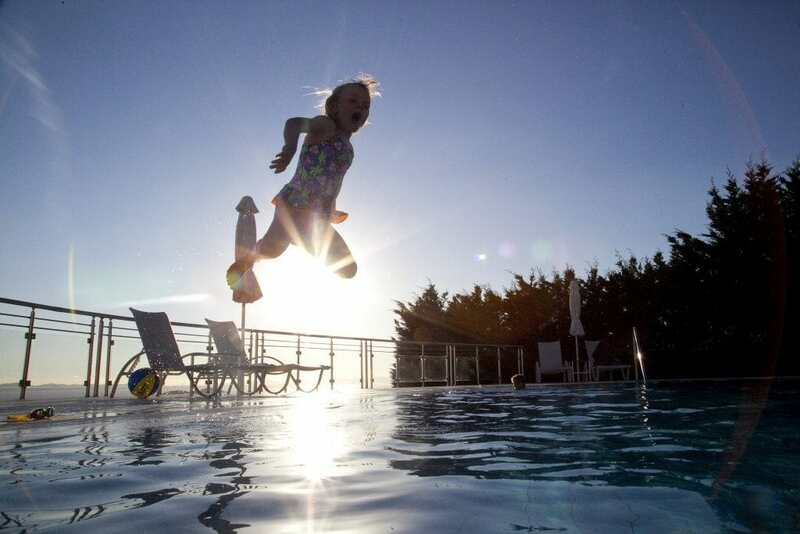 Within I would say approximately 5 minutes the kids had stripped off and jumped into the pool as I frantically tried to find swimming costumes and sun cream. They were quite literally in heaven, as were we! The next seven days, save for our amazing day on a speedboat (photo review to follow! ), followed a very similar pattern. Lazy start to the morning, swimming, food, hot tub, books, swimming, food, hot tub, snooze, swimming, food, wine, hot tub, sleep! We had BBQ’s almost every night, cooking fresh meat from the local butcher, ate more feta than anyone should and drank wine, beer and fizz. We were in heaven. Why not take a look at our little video too! 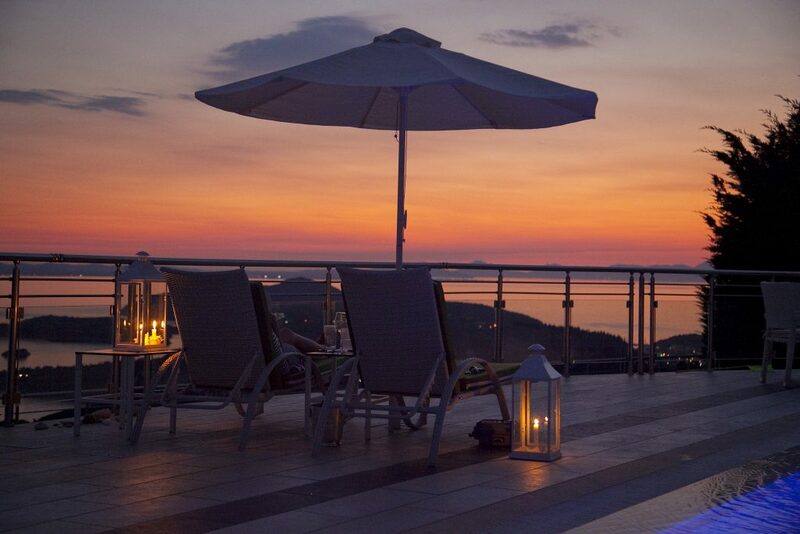 It was like a Home away from Home – but even better as whilst we did cook our meals, if you don’t want to, Simpson Travel can organise for you to have meals cooked for you in your villa. If you combine this with the fantastic maid service it actually means you don’t feel like you’re doing all the jobs you have to do at home. The kids seemed to relax too, we had some niggles but they were genuinely happy and fun all week: they made up games, played with their activity sets, and swam all day long. They loved the freedom and the space in the grounds to play and they didn’t ever want to leave. When you have something that exceptional it’s difficult to persuade them to go anywhere else! It would have been a shame though not to explore some of the beaches and although at midday in July in Greece the beach can be too hot for little ones, if you get up early enough and head down to the sea the temperature is just about right! There is also no-one else there! We had a truly exceptional weeks holiday and the five us loved every second. Maybe the girls had just got to the right age, maybe their moods just all worked in harmony with ours that week, but maybe there was that extra bit of magic. 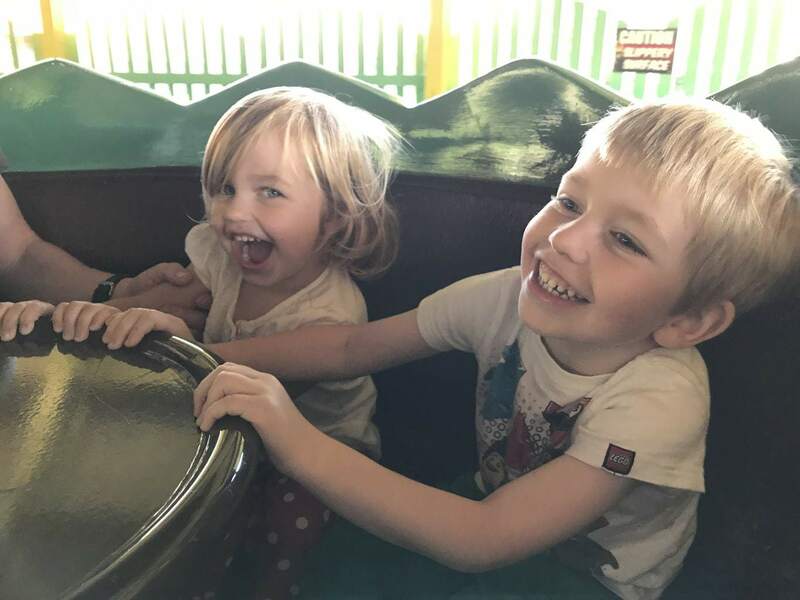 My children definitely react to our mood and when we are relaxed so are they. For me that is the Simpson magic. Oh and these sunsets! Take me back there now! Why not head over to the Simpson Travel website and see what offers they have on. I’d be tempted to get it booked before they sell out. 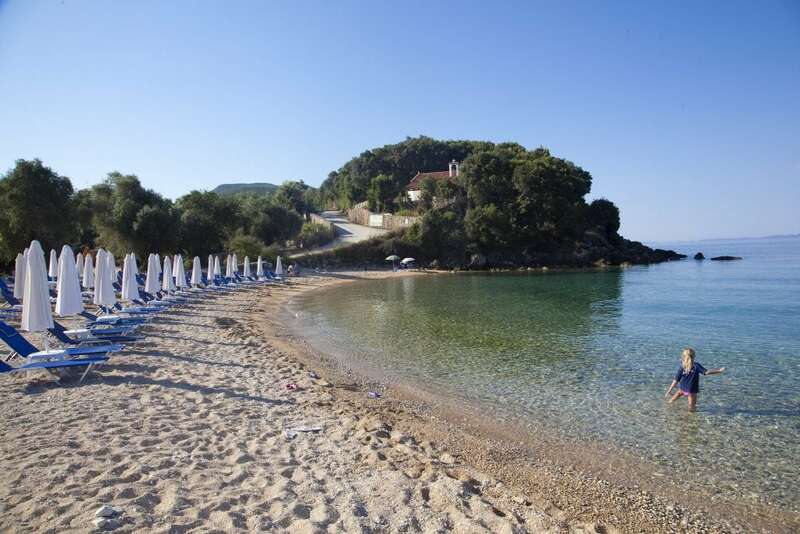 NB: We travelled to Sivota as guests of Simpson Travel but all views are my own. Our previous two trips to Mousses and where we fell in love with Simpson Travel were funded wholly by us. Ooh, it looks GORGEOUS! We always go for villa holidays over anything else – much easier for the five (sometimes six) of us who all have different preferences. It’s been literally years since we had a ‘hot holiday’ with a pool and a beach – I think I’ll have to have a look into Simpson Travel to see what they’ve got to offer. That looks absolutely blissful- the pool was incredible and what a view to arrive to. Oh, those sunsets and blue skies! This sounds like a great way to take a villa holiday with the whole package included. I’ve been considering a Simpson’s Travel holiday for a while now, ever since reviewing their gorgeous cookery book, so it’s great to hear about this trip and how well you were looked after. 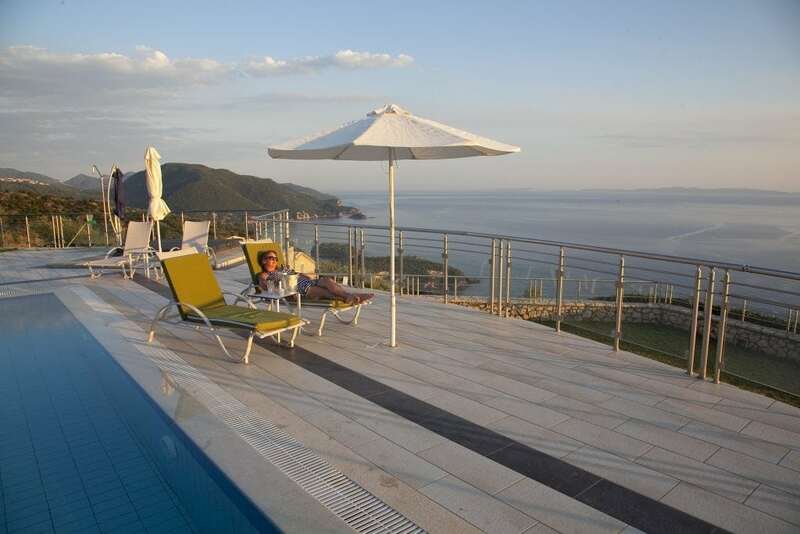 Very tempted – and who could resist that pool and the sunsets! That looks gorgeous!! We’ve not been to Greece but I’d love to go! Wow, this looks like an amazing vacation! We were in Greece this year, but in Corfu Island and we are looking forward to coming back to Greece soon, so this post is a great inspiration! What a trip! The Simpson concept sounds amazing. Love looking at your pics – roll back the clock 7 years and it could be my girls! Wow, it really looks amazing! We have been to Greece but I was pregnant & so nauseous we nearly came home early! I’d love to go back with both our girls now! Popping by again from #MondayEscapes. I feel so relaxed whenever I look at your Greece photos. Glorious! This looks just heavenly! We are planning a trip to Greece this year in the fall as a big birthday celebration for me! We always take the kids and love making it educational. My husband was born in Greece, before being adopted by Americans, so it really calls to us as a holiday destination. I’m going to take a look at the Simpson Travel website to look for inspiration! This looks completely gorgeous! Those views are stunning! 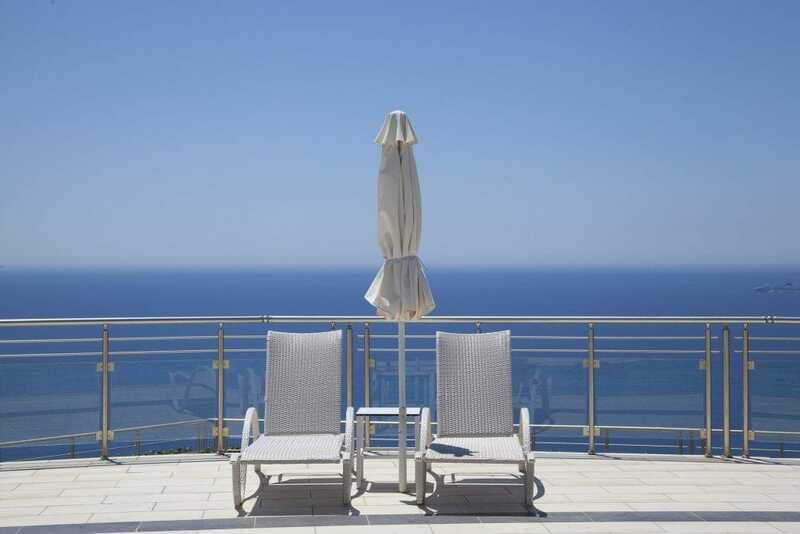 Combining self catering with the security of a package style holiday sounds ideal. The place you stayed looks absolutely fantastic too. You have me dreaming of summer now! Wow, this looks amazing! Truly a vacation from life. I’d love to be doing that right now instead of the half melted snow I’m looking at outside. The villa looks amazing! Love Greece and yours pgotos make me want to go back right now! Amazing!! Looks like you enjoy a lot on this vacation. I will plan in future. Thanks for sharing it. That view! That view! And yes, when on a ferry – or elsewhere – dance! beautiful post… Great way to spend some holidays….Happy family times…Pictures so beautiful….These three rose petals are so adorable….thanks for sharing this precious post. Lovely post. Really heart warming. And beautiful family too. The three cute little girls are stealing the show. Thanks for sharing this. And the entire pic collection is amazing. 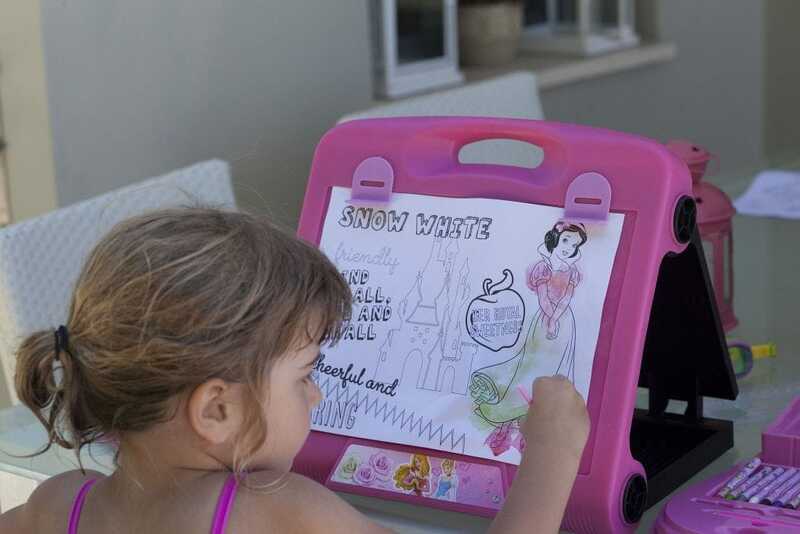 This sounds like the most wonderful family holiday – the pictures really say it all I think. Great Post I like this post thanks for sharing this post keep it up.